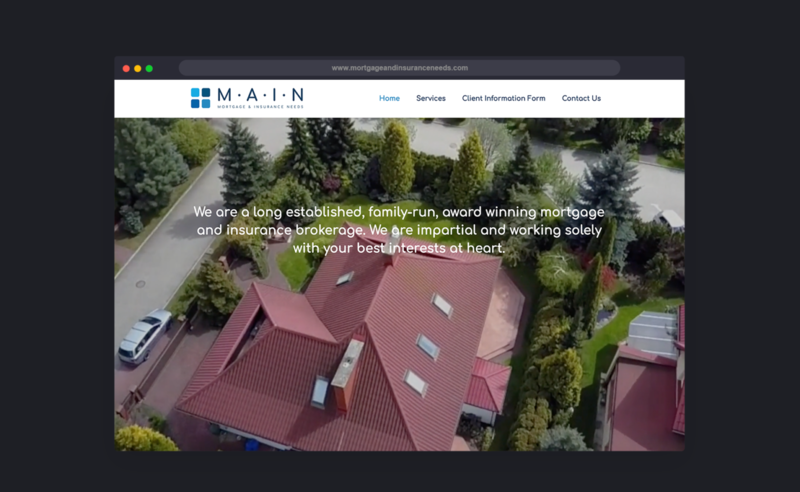 A long established, family-run, award winning mortgage and insurance brokerage, firmly rooted on the Wirral peninsula, MAIN (Mortgage and Insurance Needs) came to us when a change of premises caused them to re-evaluate their branding. Seeking a fresh, crisp and more contemporary feel to their brand, in keeping with their sleek new premises, we dived in and delivered the complete package. A new logo, letterhead, business cards, website (with bespoke functionality to enable them to gather client information quickly and securely), copywriting services and designs for decals on exterior/interior windows and walls.